At the age of 5, PRO176 taught himself to draw by copying the art of famous American comic illustrator, Jack Kirby. 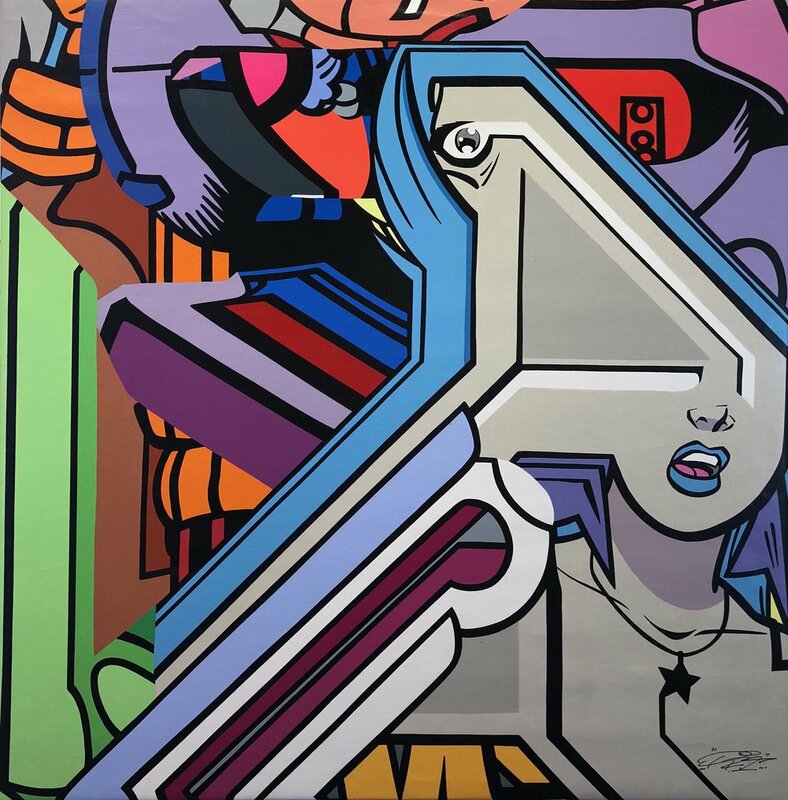 PRO176 claims his style was inspired by Jack Kirby’s universe, where the eternal philosophical battle of good versus evil takes place amidst universes filled with infinite galaxies and stars, crowded by super-heroes and super-villains. PRO was one of the founding members of ‘Ultra Boys International’. A crew that invented a new form of Graffiti, deriving its aesthetic from comic books, alphabetical constructivism and even cubism, they were like the “Graffiti Avant-Garde.” In 2009, PRO met SEEN “The Godfather of Graffiti” and began collaborating on projects. SEEN functioned as a mentor and had a strong influence on PRO’s later work, which is still visible today.